Rihanna Launches New Cosmetics Line "Fenty By Rihanna"
BHR Hollywood Reports...........Rihanna the star will launch Fenty Beauty by Rihanna in fall 2017, partnering with the Kendo beauty division of the luxury goods company, LVMH Moët Hennessy Louis Vuitton, to create her own makeup collection. According to WWD it’s estimated that LVMH’s deal may have reached $10 million to secure the line. This isn’t RiRi’s first dance in the makeup world. 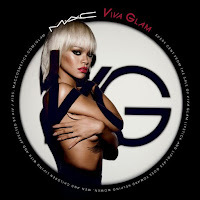 In 2013, she partnered with M.A.C on the limited edition RiRi Hearts M.A.C color cosmetics collection. In 2014, she worked with Viva Glam for AIDS research fundraising. In the past, Kendo has worked with celebrities and brands including Kat Von D and Marc Jacobs. Rihanna has other deals, of course. Puma’s creative director recently announced her $80 “Fur Slides by FENTY,” which will be available for purchase on April 22. Meanwhile, she continues to tour the globe on her “ANTI World Tour,” which is set to stop in Toronto this evening.